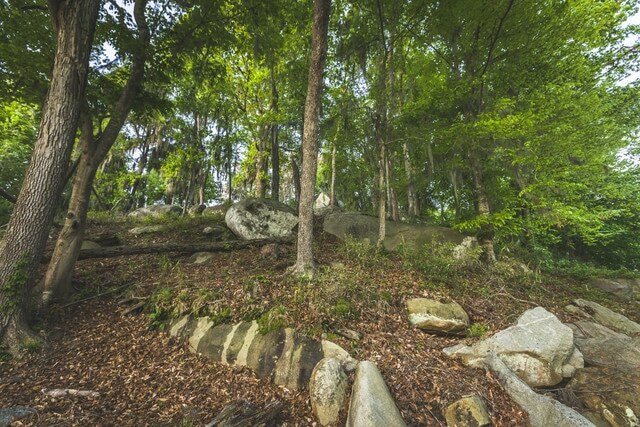 The developers of The Reserve on the Saluda recently announced the establishment of Ridgeline Park within this beautiful, private community. Ridgeline Park is a new common area that has been set aside for the sole use of the current and future homeowners of this exclusive neighborhood on the Saluda River – a neighborhood that consists of only 19 lots, with only four riverfront and four interior lots remaining. Located on the waterfront, Ridgeline Park is a 3.5 acre area that will be perfect for small neighborhood gatherings, birthday parties, picnics and fun and games with the family. Its grassy open area is great for outdoor celebrations, a game of catch or just gazing up at the stars. A new trail through Ridgeline Park to the river’s waterfront has just been cut, making it easy for residents and their guests to access the Saluda River, put in a canoe or decide to go for a leisurely stroll after dinner. Ridgeline Park was created for all the owners at The Reserve and adds additional value to their secluded lots – they may even start thinking of Ridgeline Park as their own really big back yard where they can relax, play and meet up with friends and neighbors. To learn more about living, recreation and relaxation on the banks of the majestic Saluda River, visit The Reserve on the Saluda or call Saluda Development, LLC at 803.269.9908. Listed by Jimmy Derrick, Coldwell Banker: 803.730.1494.